Two tales from Freetown, Sierra Leone, drawn from my two years of fieldwork there illustrates how marginalized men are often regarded as youths if they aren’t married or have no proper jobs, no matter what their actual age. Justice, I call him so because he is obsessed with justice, or maybe rather the lack of it in current day Sierra Leone. Justice quite often comes down to the street corner with minor bruises and scratch marks in his face or on his arms. People tend to laugh at him because it is his girlfriend doing this damage to him. She is a few years younger than Justice, who is in his mid-twenties. 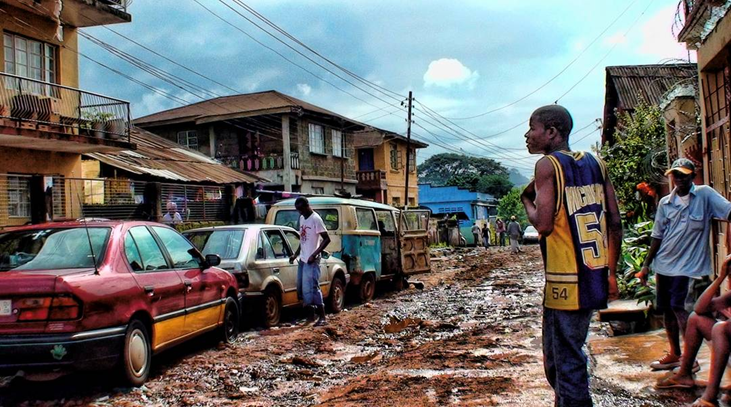 Justice is a typical Freetown street-dweller, although not one of the poorest as he, at least, has a roof over his head. His girlfriend is a prostitute that we hardly see, but we talk about her quite often. Justice does not want her to ply the streets at night, but when he tries to force her to stay home at night she fights him. It is not easy to keep a girlfriend if you are poor he says. Among the young men in the street corner we talk a lot about this. Many say they cannot afford to keep a girlfriend at all and furthermore knows that if someone with more economic leverage comes a long one’s girlfriend is frequently lost without battle. They also talk about the humiliating and unsettling fact that if they have a girlfriend she is most often a prostitute. It is painful to share your girlfriend with other men they all agree upon. To make things worse such girlfriends also have more money than them a fact that helps to turn traditional gender roles upside down, making the young men in the street corner into dependents. With reference to this, those in the street corner who fought in the Sierra Leonean civil war often dream about the days of the war when they “controlled” their girlfriends and frequently could afford to entertain several at the same time. Today however they have been remarginalized into what they see as a chronic state of youthhood. Sixties, his name stems from the fact that he likes to wear clothes from that era, is around 30. He never fought the war but has been living in the streets since he was 13. His grandmother used to work for the British queen in England, now she is an alcoholic. Sixties arduously tries to keep her out of the streets. Sixties works as a taxi driver. It does not render much money unless one has his own car, but it gives him some social standing. He is well aware of the fact that to establish oneself as a man – at thirty getting out of the youth moratorium – he needs to get married and have children. As the only one in the streetscape he manages to find himself a bride to marry: Sarah. Fact given Sarah’s family doubts that she will ever find a “proper” man and Sixties is something of an emergency solution to finally get her out of the house. The wedding is a confusing event where “street” meets “house”; where a rayray boy (street boy) marries a house pekin (someone still in the house – not gone astray) as is be put in local parlor. Time of peace and happiness follows as they move into a small shed, nicely built by Sixties himself, in a nearby slum. But Sarah can’t get pregnant, or maybe Sixties dramatic consumption of weed makes him infertile. Sarah pretends however to be pregnant and instead of delivering a child decides to kidnap one (this story is too detailed for this space, but it is worth a tale of itself). When the story breaks it becomes first page news in the Freetonian papers. It leaves Sixties totally humiliated going mentally off for some time. However Sixties is strong and manages to get his act together and currently he has found himself a new woman that he intends to marry. These are just two short stories from a street corner in downtown Freetown, Sierra Leone, with the ironic name Pentagon. I spent two years here, doing fieldwork, or deep hanging out, as Clifford Geertz would like to have it. It was a few years after the end of the civil war that had ravaged the country for about ten years. Currently in Freetown there are hundreds of street corners like Pentagon with thousands of predominantly young men trying to make do in the city. I chose a gender perspective on the two stories I just presented, but I could have given you access to the street corner through stories covering a plethora of other topics. Like for instance how ex-combatants and non-combatants mix-in to the extent that it is hard to know who fought the war and who did not – in many ways pointing out that it is not necessary to place these populations into distinct categories. I could also show you how fighters from all fighting factions during the war blend and work together in an area like Pentagon. Although one will eventually hear that this or that person fought for the RUF in a slightly derogatory way, it is more a form of mocking and today it hardly matters who fought against whom – currently, just as it was prior to the war, it is the fight against poverty and for survival that matters. Pentagon is about survival work, but also about survival crime. And it is obvious that the two are not easily separated in practice. A central tenet for Pentagon is social security. Pentagon is a social safety net, a gathering of poor people helping each other because they know that their state has neither capacity or will to do so. People gather in associations like Pentagon car washers, in Osusu saving associations (the generic local form of micro finance) or popular masquerade societies. Memberships in such social clubs are more than anything forms of social security arrangements filling the void of the Sierra Leonean state. If you get ill the social club will assist you, and if you get arrested by the police – an all to frequent occurrence in Freetown – they will do the same thing. I could discuss the police at length. People in the street do not see them as a force for good but rather as a force of looters that they need protection from. Street life is a fragile form of survival, death is ever present. But there is also a social form of death – the feeling of having no social worth, being devoid of social value (as discussed by Ghassan Hage and others). This is constantly pointed out in the street corners of Freetown and it is a feeling acute enough to make people join a revolution, to pick up arms and become a rebel soldier, or to become a religious radical. But there is some hope. One of the advantages of doing research on a specific community for an extended period of time – in my case for two years and then doing subsequent follow up trips – is that you can observe changes; changes that the Pentagon guys themselves hardly observe. People in the street corner do move up the social ladder, they leave the street corner and get out of abject poverty. But the process is slow – too slow. I will not do scientific justice to any of these subjects in this short note but just point out that I have published and continue to publish on these matters focusing on both Sierra Leone and Liberia. Instead I will locate what I see as future research priorities and subsequently what I see as policy implications that ought to drive practical work and aid projects forward. My findings place youth in the urban landscape of post-war societies, but I hasten to say that many of these findings fit no-war/pre-war societies just as well. A question that researchers have spent a lot of time with over the past ten years or so is the definition of youth. Does it make sense to give it an age bracket only? Are we really talking about a gendered definition including men only? Many answers have already been given in a rich academic literature, but so far few conclusions have sieved into policy and capacity building projects aimed for youth. Definitions of youth, partly as a political category and partly as an aid category, are constructed upon structural needs and thus differ from setting to setting. In West Africa people fitting the emic category of youth are predominantly male and a big portion is above 25 years of age. Approximately 80% of those labeled youth in Freetown are male. Recall for instance Sixties being categorized as youth, whilst his wife Sarah who was a few years younger was not. Although still labeled house pekin (house child) Sarah was not seen as youth. It does not mean that young women are not affected by poverty, but in an urban setting such as Freetown most young women remain more socially contained than their male peers. It is quite clear that a definition of youth in Freetown is not gendered as such, don’t forget Justice’s girlfriend who is clearly defined as youth, and it is not bracketed off by an age definition, but it is a social category of people living in volatile and dire life conditions, people who are no longer children, but who are yet to become social adults. It is the number of social youth, not the number of an age categorized “youth bulge” that poses a danger for stability in many African countries. Danny Hoffman has suggested that we should see the city as a form of barracks. Young people venture from rural areas – near and far – into the city to look for jobs. Many stay for years in the city doing survival work, waiting for a job that may well take them back to the country side. Although the city certainly has quite a lure to young people many are still very realistic about their limited life prospects and they do not just go to the city to find the good life as popular images suggests. Most have clear goals in mind. Indeed young urban migrants may get enrolled in rebel armies or become mercenaries in foreign countries, but they are more frequently employed into plantations or mining endeavors in the countryside. They have one thing in common: they are most frequently hired in the city. In order to do this topic right I propose that we need a better understanding of labor flows and employment structures from a contemporary perspective; however a lot can be gained by studying a rich historical material that is available. More research in this field could lay a solid ground for international projects aiming for increasing the possibilities for youth (with the above discussed definition). Pentagon is a typical corner where labor is for hire, it is virtually the raison d’être for its existence. It is easy to see that the more destitute they become the lower wages they accept and thus also the higher risks they are prepared to take. War is for example in this perspective to be viewed as a calculated risk, a chance, in a socio-economic game. Waiting for chances, Pentagon dwellers in the mean time do survival work: washing cars, pushing drugs, buying and selling goods – what is in Freetown without any prejudice called jew-man business. I recently together with some colleagues produced a film on the matter (insert link), and although we are quite a bunch of researchers looking into street life from a social perspective I argue that we need to know more from an economic vantage point. Then we have the Big Men and their networks which is a favority topic of mine. I just edited a book on this topic, and although many of the chapters are more from a macro perspective there are some really fine chapters on Liberia and Sierra Leone by Maya Christensen, Mariam Persson and Anders Themnér showing how Big Men, both military and civilian, connects with foot-soldiers of the rebel armies, in both war and post war societies. Still we don’t know enough though. It is clear that street youth are far from loose molecules. In their current post-war lives they are well-connected with Big Men on a variety of social and political levels. In fact many times these connections are crucial for their survival. Wars should also be viewed in the light of Big Man networks of combined political and economic character. And here without going into much detail it is crucial to highlight that marginalized groups of youth do not start wars by themselves. People with political agendas do. If networks linking youth with Big Men is necessary for survival of the youth they will not go away. Furthermore there will always be a few Big Men who are willing to start wars to obtain power. If we can’t do away with these two factors, then the crucial point is to create salaried opportunities for marginalized young men so they can afford to take fewer risks in the socio-economic game – starting a “revolution” should to the Big Man with war in mind be a too costly affair. A related point refers to the much discussed topic of radicalization. Marginal settings such as Pentagon are clearly breeding grounds for radical movements – it is enough to have a look at the numbers of portraits of Usama Bin Laden available in the streets (insert photo). Clearly pictures allude to emotions of powerlessness and resistance and quite often do not have any real political leverage as is the case in Sierra Leone. Sierra Leone is so far not close to any proper form of religious radicalization, but sociologically the country is not very different from Northern Nigeria with Boko Haram, the Sahel area with AQIM or Somalia with Al Shabab. Youth may join different kind of wars but psycho-sociologically it is very much for the same reasons. I believe that we can understand radicalization in for instance Somalia and Pakistan through comparisons with Sierra Leone. Freedom fighters of RUF have many lessons to teach us – but we should not take it too far and loose what is obviously specific for a particular area with its particular histories. Focus on marginal young men. Do this in a gender sensitive way. Gender is after all not just women, but includes women within the same socio-economic group as men. Urban youth is especially important. Youth in much of Africa is an extended period of time that cannot be bracketed out with a number. Youth is social age and I argue become a relevant aid category only in relation to socio-economic marginalization. Related to this: Don’t include all youth just because they have the “right” age. In Freetown for instance, the only time well-to-do youth meet marginal youth is when they venture down to the street corners to buy drugs. And it is clear: the two groups don’t like each other. Elite youth will never be role models for poor youth – just think about our own society. Today many youth projects have been hijacked by the agendas of elite youth. It is by all means important to prevent this. Rather there is a reel need to localize and get help from older people originating from the same slum dwellings but who have navigated successfully through life. Here we may find real role models. Youth programs need to be context specific. They cannot and should not be planned in Washington, Brussels or Stockholm. An example I have given many times is that of an INGO who prior to arrival in Liberia had decided to educate mechanics in rural Liberia. It was at the time between the two wars and infrastructure was extremely weak and investments very low. Ex-combatants that the INGO promised to aid to reintegrate into post-war society were turned into mechanics in large numbers in an area of the country where there were hardly any cars and only a handful of generators. Was that a helping hand? Finally, instead of creating new structures the international community should work with the existing ones. I believe that there is a good scope for a formalization of informal structures of labor. If project designers and managers could for instance in a more comprehensive way understand and aid existing apprentice systems, and there are many, I believe youth employment could be significantly strengthened. So far there are limited amounts of systematic research in this area, but we are many researchers who could with relatively little effort strengthen this. This entry was posted in Post Conflict, Youth. Bookmark the permalink.